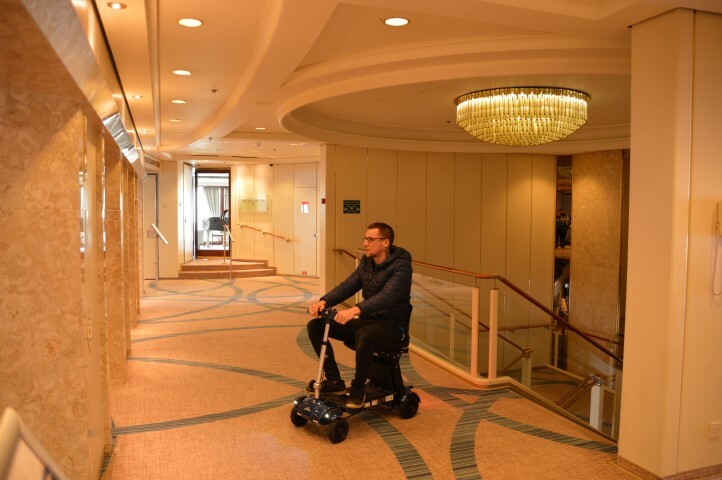 We've come up with some handy tips for using your mobility equipment on board to help get the most out of your cruise. Watch out for tender ports, this is where the ship will anchor offshore and use a small vessel to carry passengers to and from shore. As your safety is paramount, those with reduced mobility may not be permitted to board the tender if considered unsafe to do so. Please ensure you are aware of the cruise operators’ tender policy before you book to avoid any disappointment. All cruise lines have different policies on tender ports, please see their websites for more information. Get to know your equipment. All mobility equipment may vary slightly. You should take the time to get to know yours, especially if it is a model you haven't used previously. 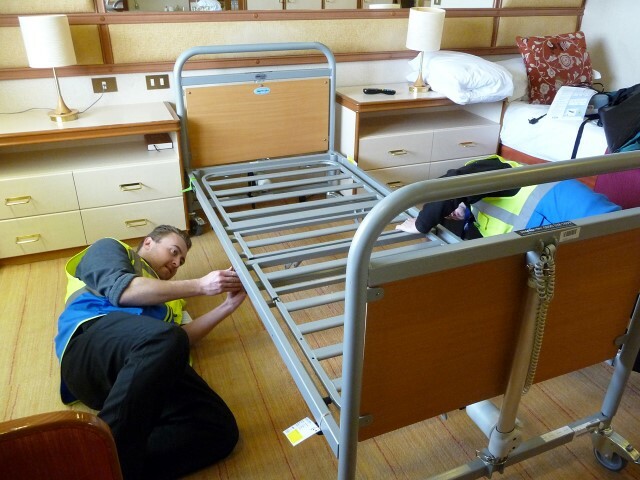 We provide crib sheets and user guides for you to refer to with the electrical equipment, however, if you would like a full copy of the user manual emailed prior to the cruise then we are happy to do so. We can also offer demonstrations of certain products if required (subject to scheduling). If you use a mobility scooter, powerchair, or wheelchair please DO NOT leave it unattended outside of your cabin at any time. There is a chance that housekeeping will remove and store it due to health & safety regulations. Accessible cabins may be compulsory to anyone requiring a mobility scooter or powerchair so please check with your chosen cruise provider before booking any products. Fire and safety regulations often prevent any equipment being stored in the corridors (some smaller cabins may have narrow cabin doors or walkways restricting access to the stateroom). Bespoke products (including the Cruiser 12A powerchair, designed specifically to fold small enough so that storage in a standard / regular cabin is possible subject to availability) can be used to ensure that you can book the holiday of your dreams. Always keep in mind that the crew are there for you 24/7 - even more so on a cruise than any other holiday. If there's something they can do to make your cruise more comfortable just ask, they will be happy to oblige. Don't worry if you're not completely confident in embarking/disembarking procedures when using your equipment. The ship's crew can assist you on and off the ship so you don't have to worry. 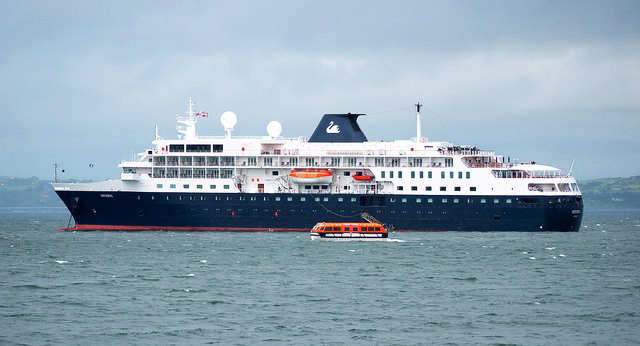 Prior booking with the cruise provider may be required. Be mindful of your speed. Cruise ships have lots of blind corners, twisting corridors, and sharp turns. Always consider your fellow passengers when using a mobility product. Always keep the "helpline" number readily available. Sometimes a quick phone call can solve any potential issues. Please note that in the event that your mobile doesn't’ have a signal, you can always request that the crew sends us an email. If you have any questions regarding mobility equipment on cruise ships, or about cruising in general then please contact one of our friendly team on 0800 328 1699. We'd be more than happy to help. Frequently Asked Questions – Some of your questions answered in our updated FAQ document.